The Flexsteel 5721-30 Calvin Fabric Sofa is available in Hickory Park's, North Carolina Furniture Galleries. Hickory Park may be restricted from showing prices, however please select the Click For Quote button and Hickory Park Sales and Design Staff will reply or please call (828) 322-4440 for more information. Carefree design with you in mind. 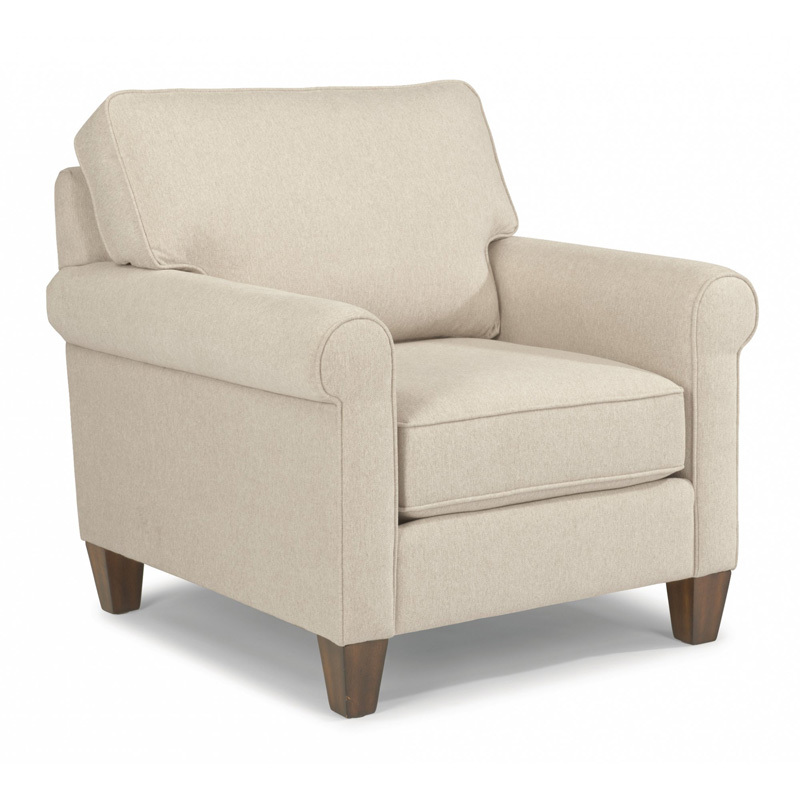 Calvin's simple frame combines straight lines of the boxed back and seat cushions and the subtle roundness of its modest, rolled arm. 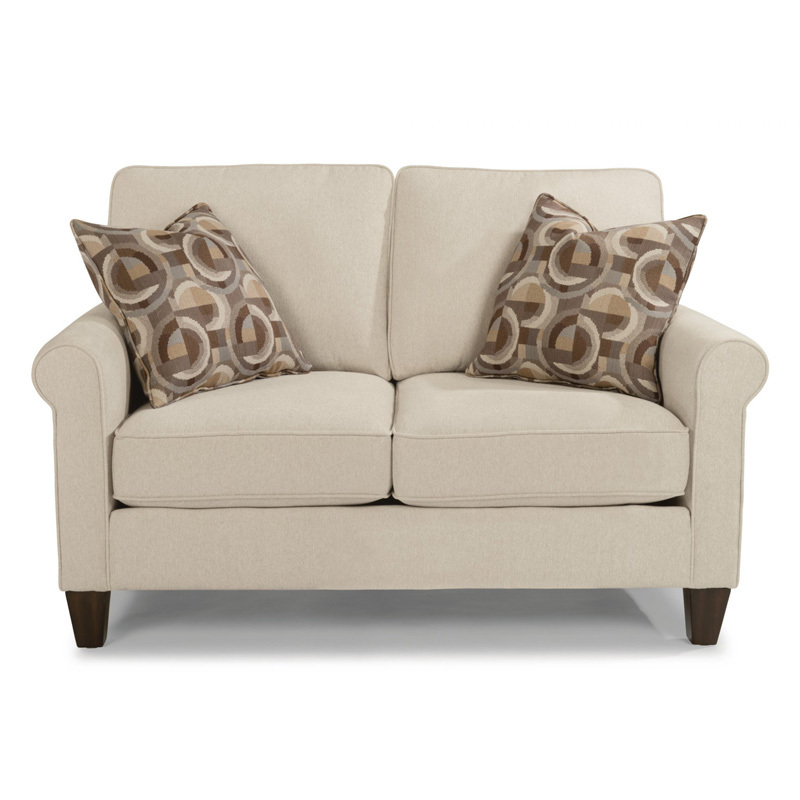 Angled back cushions allow you to lean back and relax on Calvin's carefree physique. 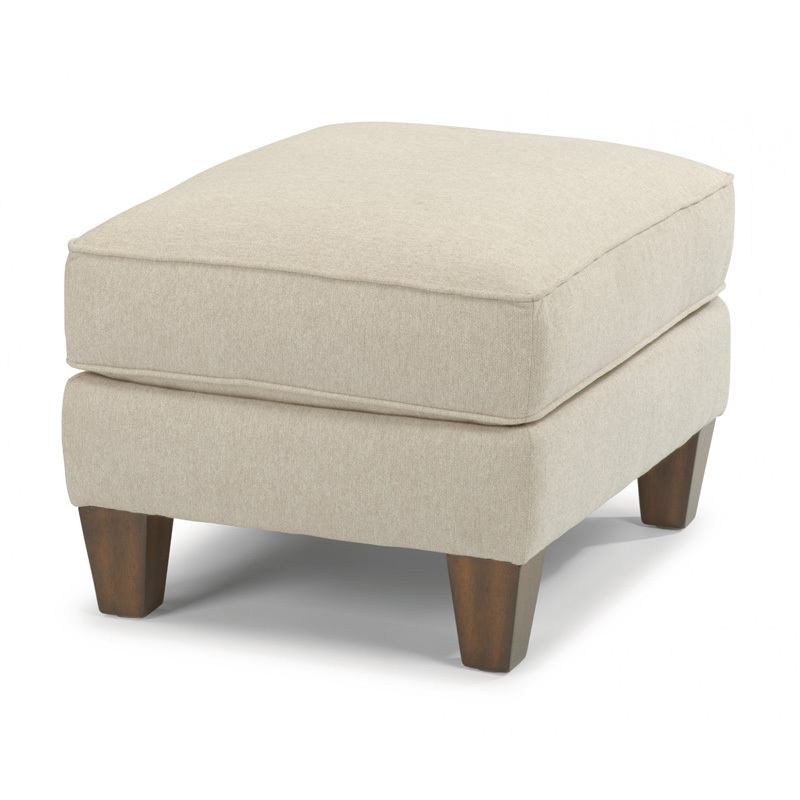 Square, tapered legs accent its profile and add to its visual height and clean lines. 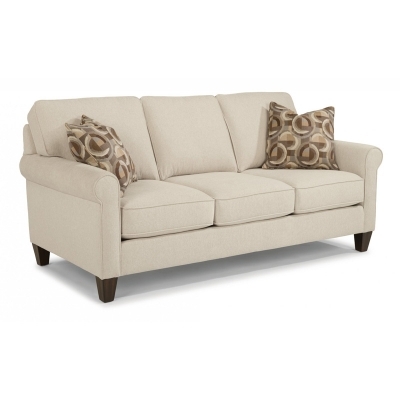 Click here to receive price quote for Fabric Sofa 5721-30 item.